*Discounts calculated against RRP of £35.95 per packet. All collagen complex prices include FREE UK Delivery. 300g per packet, 30 x 10g (2 teaspoons) daily servings. - 5000mg of Naticol Hydrolysed Marine Collagen. - 100mg of Hyaluronic Acid. 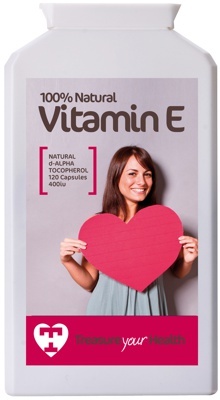 - 80mg of Organic Vitamin C.
Types 1 and 3 collagen promote healthy, more youthful looking skin. Hydrolysed to greatly increase bioavailability. 100% Marine Source - Guaranteed Bovine-Free. Save up to 31% on the RRP of £35.95. 30-day no quibble refund policy for your peace of mind! 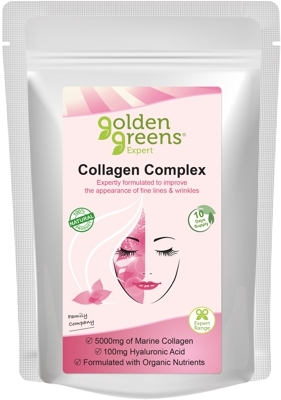 Golden Greens Expert Collagen Complex promotes healthy, youthful looking skin by increasing the moisture content of your skin and by improving the elasticity and smoothness of your skin. We significantly increase the bioavailability of our marine collagen by a process of hydrolysis, which break down the molecular bonds between the individual collagen strands. Both collagen and hyaluronic acid are natural compounds produced by our own body. However with increasing age the production of both decreases. This leads to the appearance of fine lines and wrinkles and to our skin becoming drier. Collagen helps keep your skin smooth and firm, whilst Hyaluronic acid helps keep your skin hydrated (and therefore plumped and toned). Our Organic Vitamin C contributes to your normal collagen formation for the normal funtion of your skin. TrustPilot collects reviews from our customers and gives us a rating out of 10. You can click below to view our TrustPilot reviews. The table below shows the amount of each nutrient present in each 10g daily serving (2 teaspoons). Take 10g (2 teaspoons) per day. Add to water, fruit juice or smoothie and mix well. 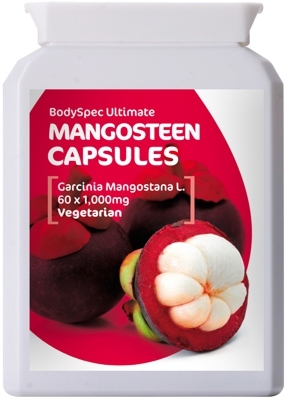 This is a food supplement and should not be used as a substitute for a varied diet.